JOIN US – Take advantage of our special offer. Got a postcard? Call or bring it in, or better yet- pre-register here for some added value. Just fill out the form below and click submit. We’ll schedule your first visit, and once you’re up and running, you’ll also receive a FREE UNIFORM. (One per customer.) 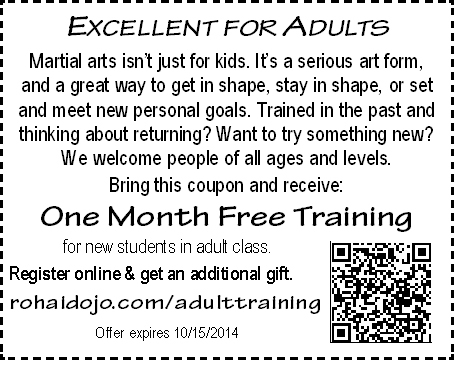 Offer expires 10-31-2014. Looking for a deal for the whole family? Go HERE. Do you have a preferred day or time to come in? Thanks for signing up online. We look forward to meeting you!